The singers Nana Mouskouri and Melina Mercouri and composers Mikis Theodorakis and Manos Hadjidakis were the four key musical protagonists in the awakening of Greek music and cinema that occurred in the late ’50s, early 1960s. This two disc edition comprises the soundtracks of the decisive films of the era. • The singers Nana Mouskouri and Melina Mercouri and composers Mikis Theodorakis and Manos Hadjidakis were the four key musical protagonists in the awakening of Greek music and cinema that occurred in the late ’50s, early 1960s. 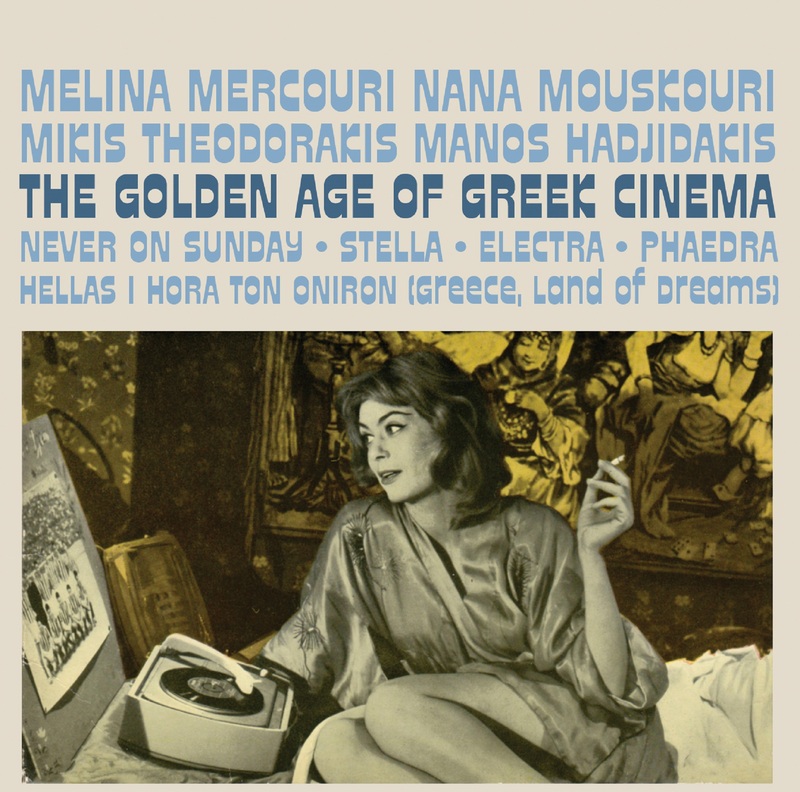 • This two disc edition comprises the soundtracks of the decisive films of the era; These include Michael Cacoyannis’ Stella and Jules Dassin’s monumental Never on Sunday, which it prefigured; films which found Melina Mercouri set against the conventions of society, a symbol and a mascot for outlaw women, giving vivacious performances which would make her a national hero and bring international fame. Never on Sunday earned Mercouri the Best Actress Award at the Cannes Film Festival in 1961 (an award she deserved for Stella). • At Hollywood’s Academy Awards ceremony, ‘Ta pedia tou Pirea’ (under the title Never on Sunday), won the Oscar for best original song. While Mercouri performed it on screen, it was Nana Mouskouri’s seductive recording which propelled Manos Hadjidakis’ composition into the charts. Both are included here. • His exact contemporary, Mikis Theodorakis is the greatest living Greek composer; a charismatic figure who gained a wide following through both his art and his courageous opposition to the forces of oppression in his homeland. • Included here are Mikis’ scores for Jules Dassin’s modern interpretation of Euripides’ Hippolytus story, Phaedra (starring Mercouri and Anthony Perkins) and for Michael Cacoyannis’ magisterial Electra, a stunning percussive score which rejects the conventional romantic orchestral approach to successfully unite the classical technique of drama with the modern technique of cinema. NB: This product is released 22nd January 2016 and will not be dispatched until this date. SUNDAY) - Melina Mercouri (GREEK 7"